Alex Bregman has a 1.100 OPS over his last 11 games. Bregman is currently in the midst of one of his patented streaks, during which pitchers should just throw four straight into the stands when he comes up to bat. As a freshman, he hit .495/.542/.753 as he went 48-for-97 during a 23-game hit streak. During his sophomore campaign, he went 21-for-48 (.438) over an 11 game stretch with six doubles, three home runs and 16 RBI. Over his last 11 games, he has gone 17-for-42 (.405) with four doubles, a triple, three home runs and 13 RBI. He has gone 9-for-9 in stolen base attempts and hasn’t struck out once. Scouts wanted to see more offense from him this season and he is playing like a top-10 pick in the 2015 MLB draft. Newman has five straight multi-hit games and has gone 15-for-22 (.682) during that span. He has added four doubles, seven RBI and has drawn two walks to no strikeouts. The 6’-1”, 180 pound right-hander is now hitting a silly .443/.505/.557 over 19 games with nine doubles, seven stolen bases and eight walks to six strikeouts. He may not have a lot of home run power, but he has an advanced approach at the plate and can smack it to all fields. As a freshman, Newman won the batting title at the Cape Cod League, hitting .375 over 40 games with 16 stolen bases. He was the first freshman to lead the league in hitting. He has a great track record on offense and many believe he can stick at shortstop due to his strong arm, instincts and athleticism. The 6’-2” right-hander is emerging as the best arm in the 2015 MLB draft and continued to state his case on March 6 against Sacramento State. He tossed seven shutout innings, striking out 10 to three walks and now has a 0.96 ERA, 0.93 WHIP with 35 K/11 BB over 28 innings this season. The only knock on him is the lack of a track record as he was in the pen his first two years. Tate features a plus slider and mid-90s fastball. His change-up is average but he didn’t need one as a closer so it still developing. He has been showing the stamina to remain a starter and he has been maintaining his velocity deep into games. Against Seton Hall on March 6, Eshelman tossed a five-hit shutout, striking out 14 to one. Eighty-nine of his 119 pitches were strikes. He now has a career 1.64 ERA and 0.82 WHIP through 36 starts with 221 K/15 BB over 268.2 innings. He has allowed just four home runs. He isn’t the hardest thrower as he sits 87-91 with his fastball, but he has precision command and can paint the corners like few others. He adds an excellent low-80s sinking change-up and solid curveball and cutter. He is an extremely efficient pitcher with great mound presence. Like Newman, Trahan has a legit shot to stick at shortstop and, while he may not have home run power, he can fill the gaps and should hit for a high average with decent speed. He also has been hitting everything in sight lately as he has gone 12-for-19 (.632) over his last five games with a whopping eight doubles, a home run, seven RBI and has drawn four walks to no strikeouts. The 5’-11”, 180 pound right-hander helped lead the Ragin’ Cajuns to within one game of the College World Series last season by hitting .355/.455/.465 over 68 games with 44 walks to 37 strikeouts and 15 stolen bases. Herget makes life very hard on hitters as he constantly changes arm angles and actions — as well as speed. The 6’-3”, 170 pound right-hander can touch 94 mph with his fastball but usually sits 89-91. He adds a plus slider and solid offerings in a mid-70s curveball and low-80s change-up. He allowed two hits over eight shutout against Seton Hall on March 6, striking out 12 to one walk. He now has a 0.68 ERA, 0.75 WHIP and 35 K/9 BB over 26.2 innings, allowing just 11 hits. He has a great track record as he came into this season with a 1.48 ERA and 1.03 WHIP over 201.1 innings. Wiseman is hitting .533/.611/.800 over his last 11 games for the ‘Dores. He has 24 hits, six doubles, two home runs and has drawn seven walks. He has added four stolen bases and is playing like a first-round pick right now. He has a right field arm and is a very good athlete. The 6’-1”, 205 pound left-handed hitter came into this season with a lot to prove after hitting .277/.343/.387 over 68 games with no home runs as a sophomore. Overall, he is hitting .435/.519/.725 through 17 games with seven doubles and three home runs. 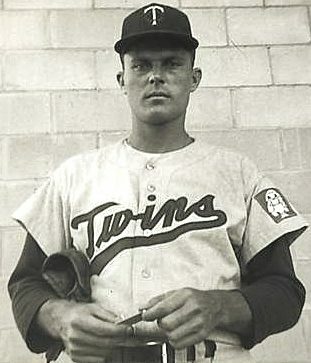 Kirby was his usual dominant self against Pittsburgh on March 6, striking out 13 to two walks over seven innings, allowing one run on seven hits. He did take the loss, however, Virginia’s first of the season. The 6’-3” southpaw was sitting 91-93 mph with late life on his fastball and both his change-up and slider looked plus. He has run into some command issues this season but he is a top-10 pick and is still in the mix for first-overall. He is now 3-1 over four starts with a 0.71 ERA, 1.11 WHIP and 37 K/10 BB over 25.1 innings. At 6’-5” and 215 pounds, Long can touch 96 mph but usually sits 90-93 with his fastball. He may not be the hardest thrower in this class but he is savvy, mixes his stuff well and keeps the ball down — something key for this season with the new flattened seamed balls. He adds solid secondary stuff in an above-average slider and change-up and command all three of his pitches well. On March 7, he struck out a career high 10 to no walks over seven shutout innings against Houston as the Aggies improved to 15-0 on the season. Seventy of his 95 pitches were for strikes, and it was a brilliant performance in front of a lot of scouts. He is now 3-0 over four starts with a 2.38 ERA, 1.11 WHIP and 22 K/8 BB over 22.2 innings. Last season, William & Mary first baseman Michael Katz had a silly run when he went 27-for-44 (.614) with six doubles, eight home runs and 33 RBI over 10 games. While Ferguson isn’t quite on a run like that, the first baseman’s current streak reminded me of Katz’ feat last season. Over his last four games, the 6’-2”, 215 pound left-hander has gone 10-for-17 (.588) with three doubles, three home runs and nine RBI. He has drawn six walks to one strikeout. The senior hit .256/.343/.367 over 55 games last season so no one really saw him hitting .426/.533/.787 through his first 16 games this season. Katz was selected by the Mets in the ninth round last year.